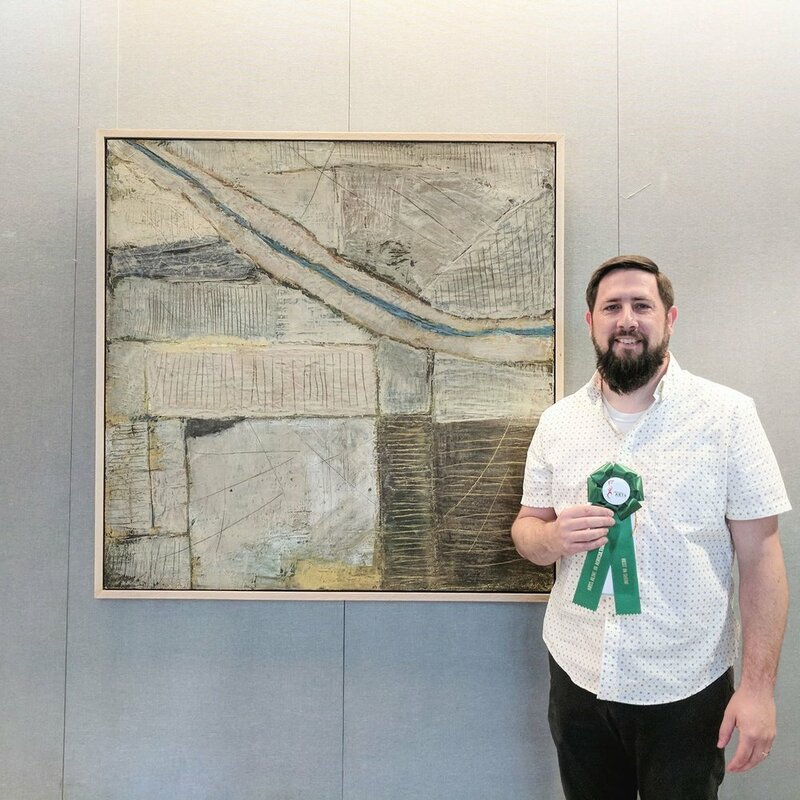 I receive Best in Show at the 2018 Arts Alive in Agriculture Exhibition. In fact, all three of my pieces received awards as I also received 2nd place in the landscape category and 1st place in the sculpture category. PBS put together a video for the Arts Alive in Agriculture show hosted by the Fresno Arts Council at Fresno City Hall. You can see two of my pieces in this video. Painting at :32 and wood assemblage at 1:45. I also make an appearance receiving my award. This is the last week that the exhibition will be on display.